India’s continual and unpredictable traffic causes 10% of the annual global road accidents and approximately 400 deaths each day. It is also one of the countries in the world which lacks the appropriate visual acuity tests that should be required to obtain a driving license. The Vision Impact Institute and Essilor Vision Foundation are working hard to change this and to make India’s roads safer. 1.2 million: this is the annual number of people who lose their lives in road accidents globally according to the WHO (World Health Organization). Besides the traumatic long-term consequences for relatives losing one of their loved ones in a traffic accident, the WHO estimates that the associated costs created for governments are approximately 3% of a country’s GDP. 1,374 accidents take place every day on Indian roads causing an average of 400 deaths daily. The vast majority of road accident deaths occur in developing countries. At the top of the list is India, with 138,000 people killed each year, the equivalent of 10% of all global road accident deaths. The Ministry of Road Transport estimates that 1,374 accidents take place every day on Indian roads causing almost 400 deaths daily. Staggering figures, which are leading to growing public concern regarding road security in India. Many issues are highlighted as being the main culprit for the high number of road accidents in India: the lack of professional driving instructors and a positive driving culture or the absence of key requirements to obtain a driving license. One issue, however, that gains very little attention is the fact that drivers in India do not have to test their vision to obtain their license. 59% of road accidents can be linked to poor sight. A range of studies which explore the link between visual ability and crash involvement show that 59% of road accidents can be linked to poor sight. Additionally 90% of drivers’ decisions are based on vision. 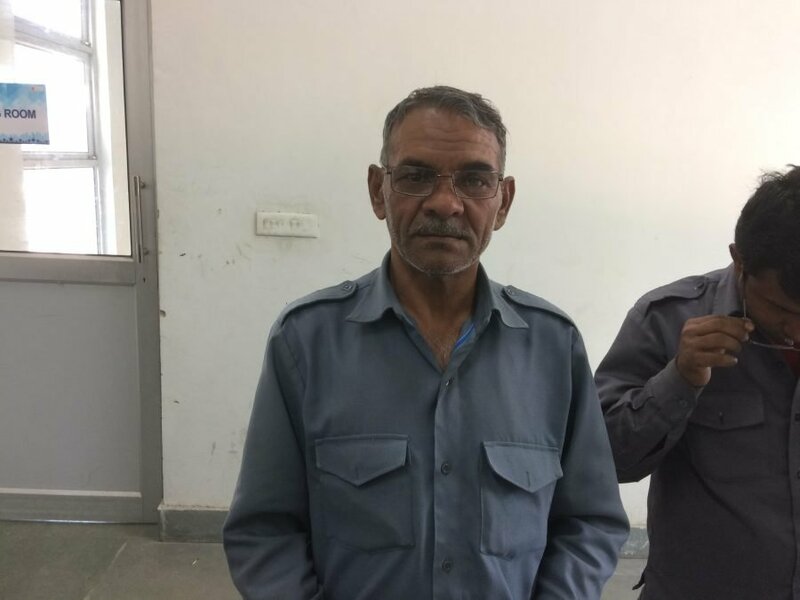 Whereas in many countries globally, such as the US, Europe and Australia, there are compulsory visual acuity requirements, India’s current vision standards for drivers are among the weakest in the world. Only a self-declaration is needed with which the driver confirms to be able to read the number plate of a vehicle at a distance of 25 meters. Even people after the age of 50, who have to renew their license every 5 years, only need to do an eye exam for presbyopia but no other vision parameters are considered. Faced with a clear lack of public awareness on this issue, the Vision Impact Institute (VII) is making the case for safer roads in India. Last year, Shailaja Pathania, Principal Consultant of the VII Delhi, wrote an open letter to the Ministry of Road Transport in which she provided evidence for the correlation between driving and vision based on peer reviewed studies. She also included recommendations for legislative changes that would bring India in line with best practices applied across most countries in the world. The objective of the VII is threefold: to cut the number of unsafe drivers on Indian roads, to bring down the number of casualties and to reduce health expenditure. Essilor’s support of programs that focus on India’s road safety does not stop here. With the aim to create awareness on the link between driving and vision, Essilor Vision Foundation (EVF) India entered a long-term partnership with Toyota. To engage and educate airport taxi drivers on the traffic safety challenges and to ensure their physical well-being, Toyota is carrying out driver training programs and health check-up camps. 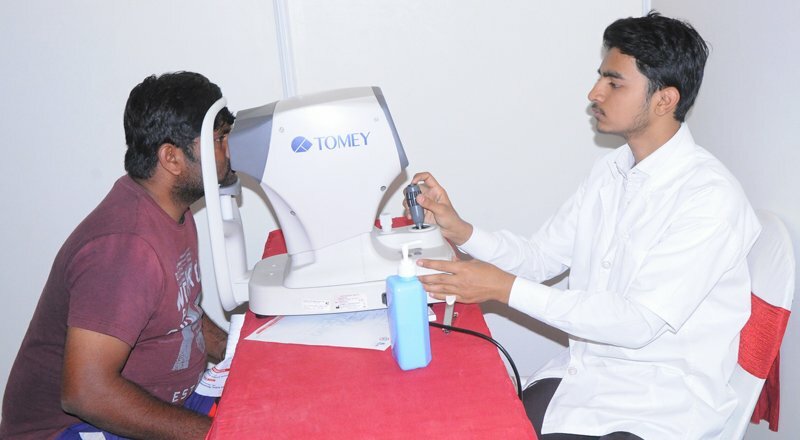 EVF India supports these camps by offering free vision tests and spectacles if needed. The fact that every second driver who participated in the screening event needed a pair of spectacles to see clearly, shows the urgent need for this initiative. 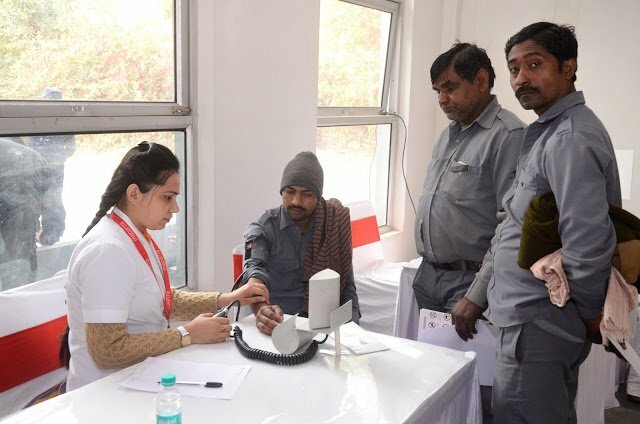 Since the launch of this in 2016, several health camps for taxi drivers in Delhi and Hyderabad have been organized in the context of which a total of 2,250 drivers were screened and almost half of them equipped with a free pair of spectacles. The fact that every second driver who participated in the screening event needed a pair of spectacles to see clearly, shows the urgent need for this initiative. With this initiative we aim at inculcating a strong safety culture in drivers and effectively reduce road accidents on Indian roads. Drivers in both cities where the program kicked-off have welcomed the initiative, quickly realizing that good vision can truly facilitate their work: “I was not able to see signage boards from a long distance and was actually thinking to go to a hospital to do an eye test. 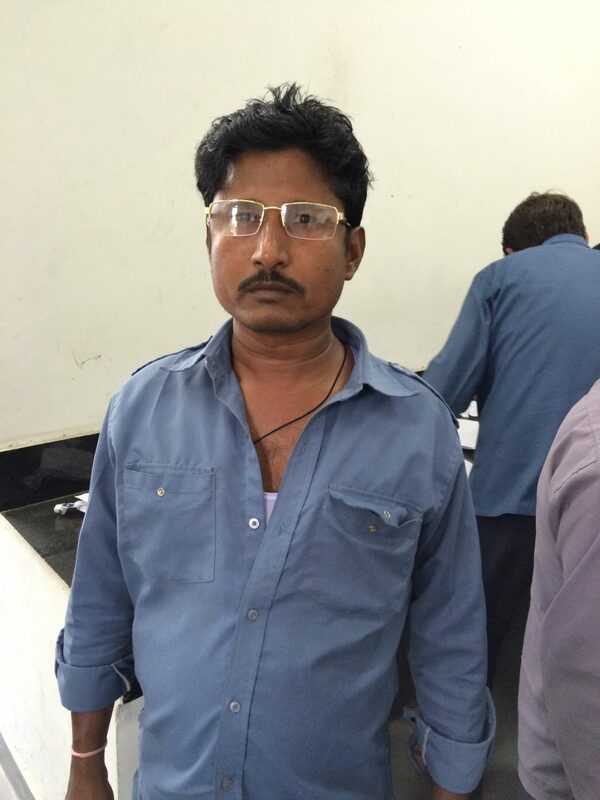 That’s when I learnt that EVF was conducting eye checkup camps in airport premises. I attended this camp and after my eye checkup EVF provided me with a nice pair of spectacles for free. Now I can see signage boards without any problems,’ explains Choubey, who has been working as a taxi driver for more than 20 years. VII is currently in conversation with GVK, an organization which manages the airport in Mumbai, to bring eye care also to Mumbai-based drivers. 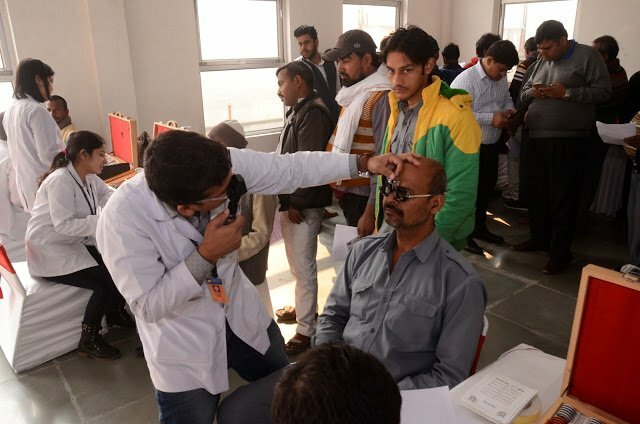 By supporting such initiatives in India Essilor wants to demonstrate that “improving lives by improving sight” can take many shapes and impact individuals and society at large on several levels. Because it’s not only the drivers who benefit from these programs but each and every person travelling on India’s roads today.